Bulgaria will revoke the license of the local unit of Czech power utility CEZ to operate the country's national grid by the end of the day, the prime minister said on Tuesday. 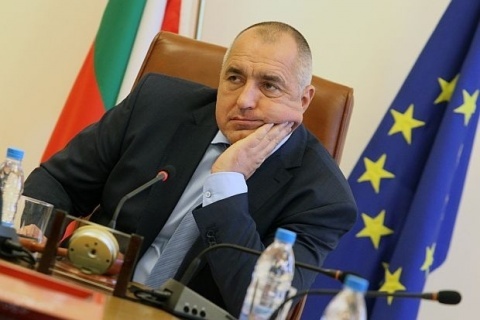 Boyko Borisov added that the three power distributors have already been fined. Earlier in the day Bulgaria's prosecutor office said it will propose revoking the license of the local unit of Czech power utility CEZ to operate the country's national grid. The statements came two days after tens of thousands of Bulgarians protested in more than 20 cities against high electricity bills. CEZ Bulgaria may be stripped of its national grid operator's license over systematic irregularities in its work, the prosecutors specified. CEZ supplies power to over 2 million households and companies in western Bulgaria, including the capital Sofia. It was not immediately clear whether the alleged irregularities can provide legal grounds for withdrawing the company's license. Energy Minister Delyan Dobrev recently accused the company of granting a whopping 80% of its orders to companies without signing contracts or holding contests. According to data, which he cited on Sunday, in 2011 CEZ Bulgaria assigned orders to companies, linked to the mother company, worth BGN 35 M.
Earlier on Sunday the mass protests against high electricity bills that swept Bulgaria's capital Sofia forced Czech power utility CEZ to offer compensations to its disgruntled clients. "We fully understand the anger of the people. If needed, we will pay compensations to our clients," Petr Baran, Vice Chairman of the Management Board and Chief Operational Officer of CEZ Bulgaria, told Kanal 3 TV Channel. "We serve more than 2 million clients. Mistakes happen. Each complaint will be carefully considered and checked. If there are mistakes, corrections will be made," he added.